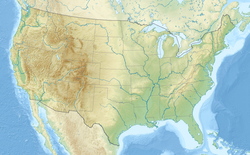 The Mercedes-Benz Superdome, often referred to simply as the Superdome, is a domed sports and exhibition venue located in the Central Business District of New Orleans, Louisiana, United States. It primarily serves as the home venue for the New Orleans Saints of the National Football League (NFL), the home stadium for the Sugar Bowl, New Orleans Bowl in college football and the longtime rivalry football game of the SWAC Conference’s Southern University and Grambling State University, known as the Bayou Classic (held yearly, every Thanksgiving Weekend). It also houses their schools’ Battle of the Bands between The Southern University "The Human Jukebox" and Grambling State’s Tiger Marching Band. 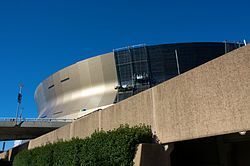 Plans were drawn up in 1967 by the New Orleans modernist architectural firm of Curtis and Davis and the building opened as the Louisiana Superdome in 1975. Its steel frame covers a 13-acre (5.3 ha) expanse and the 273-foot (83 m) dome is made of a lamellar multi-ringed frame and has a diameter of 680 feet (210 m), making it the largest fixed domed structure in the world. It is adjacent to the Smoothie King Center. 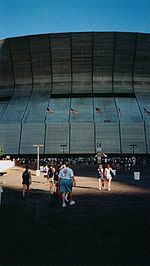 The Superdome has a listed football seating capacity of 76,468 (expanded) or 73,208 (not expanded) and a maximum basketball seating capacity of 73,432. However, published attendance figures from events such as the Super Bowl football game have exceeded 79,000. The basketball capacity does not reflect the NCAA's new policy on arranging the basketball court on the 50-yard line on the football field, per 2009 NCAA policy. In 2011, 3,500 seats were added, increasing the Superdome's capacity to 76,468. The Superdome's capacity was 78,133 for WWE WrestleMania 34. The actual capacity is 73,208 people. Panoramic of 69,719 in attendance  during a Saints game vs the Detroit Lions, 2009. 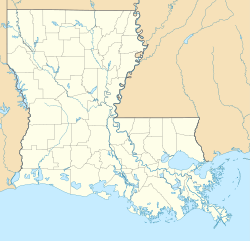 The NBA's New Orleans Jazz used the Superdome as their home court, from 1975 to 1979. In 1977, the Jazz set a then-record in attendance for an NBA game, with 35,077 watching the Jazz led by Pete "Pistol Pete" Maravich against the Philadelphia 76ers,  led by fellow future Hall of Famer Julius Erving. At the 1995 U.S. Gymnastics National Championships,  Dominique Moceanu became the youngest Women's All-Around National Champion in U.S. history at 13 years old, a record that still stands. John Roethlisberger also won his fourth and final U.S. Men's All-Around National Championship. In 1996, the stadium hosted the AAU Junior Olympics wrestling competition. In February 1997, the Dome hosted the Louisiana High School Athletic Association state wrestling championships. The Superdome cost $185 million to repair and refurbish. To repair the Superdome, FEMA put up $115 million,  the state spent $13 million, the Louisiana Stadium & Exposition District refinanced a bond package to secure $41 million and the NFL contributed $15 million. 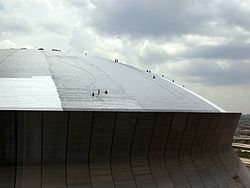 The reopening of the dome was celebrated with festivities including a free outdoor concert by the Goo Goo Dolls before fans were allowed in, a pre-game performance by the rock bands U2 and Green Day performing a cover of The Skids' " The Saints Are Coming", and a coin toss conducted by former President George H. W. Bush. In front of ESPN's largest-ever audience at that time, the Saints won the game 23–3 with 70,003 in attendance and went on to a successful season reaching their first ever NFC Championship Game. Beginning in 2011, demolition and new construction began to the lower bowl of the stadium, reconfiguring it to increase seating by 3,500, widening the plaza concourse, building two bunker club lounges and adding additional concession stands. Crews tore down the temporary stairs that lead from Champions Square to the Dome, and replaced them with permanent steps. Installation of express elevators that take coaches and media from the ground level of the stadium to the press box were also completed. New 7,500-square-foot (700 m2) bunker lounges on each side of the stadium were built. The lounges are equipped with flat-screen TVs, granite counter tops and full-service bars. These state-of-the-art lounges can serve 4,500 fans, whose old plaza seats were upgraded to premium tickets, giving those fans leather chairs with cup-holders. The plaza level was extended, closing in space between the concourse and plaza seating, adding new restrooms and concession areas. The renovations also ended the stadium's ability to convert to a baseball configuration. The renovations were completed in late June 2011 in time for the Essence Music Festival. On February 8, 2013 it was reported that a relay device intended to prevent an electrical overload had caused the failure. The device was located in an electrical vault owned and operated by Entergy, the electrical utility for the New Orleans area. That vault is approximately one quarter mile away from the Superdome. A subsequent report from an independent auditor confirmed the relay device as the cause. The Superdome's own power system was never compromised. ^ "Superdome Supercross is Super." Louisiana Superdome Newsletter 6:7 (July 1977). 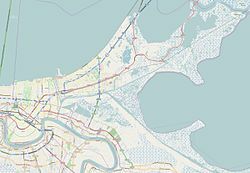 Louisiana Research Collection, Tulane University Libraries.
" The Olive and the Blue"